Marc, Will, Hamish, Sandy and I got together for a Barrio Pro Team Gathering at Hoddom Castle on the river Annan in June. 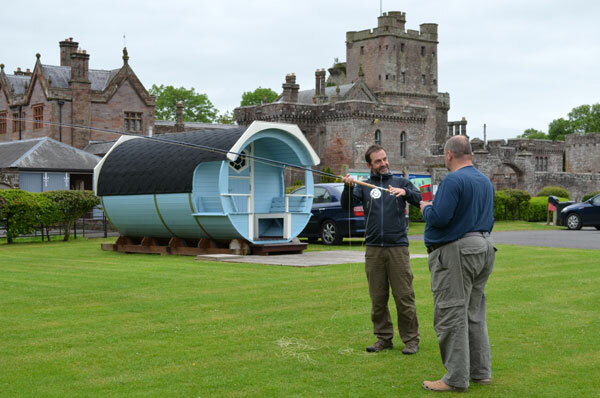 Hoddom Castle is a great place to meet up, a nice campsite with good facilities, good food, a bar for a drink in the evenings and of course, some great fishing. Our Pro Team gatherings are not about getting down to business, they are very much about a bunch of friends meeting up and enjoying some fishing. Product development and experiences with the current Barrio range do of course crop up in conversation, but we are there to have fun! As usual there was plenty of banter and we played with lines on a variety of rods. 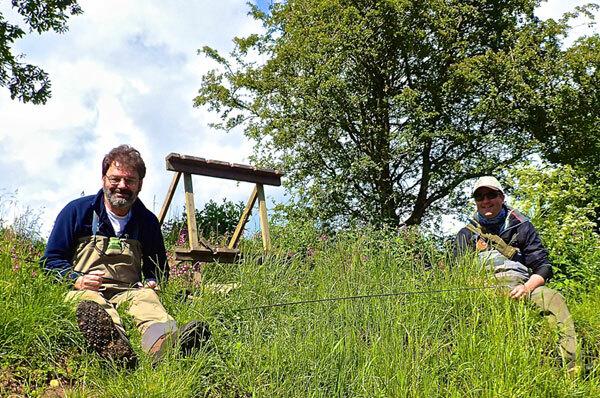 You can see Hamish and Will in the first photo with a fibreglass Epic double hander from Carl McNeil at Swift Fly Fishing, a rod that we all thought was 'rather nice'! 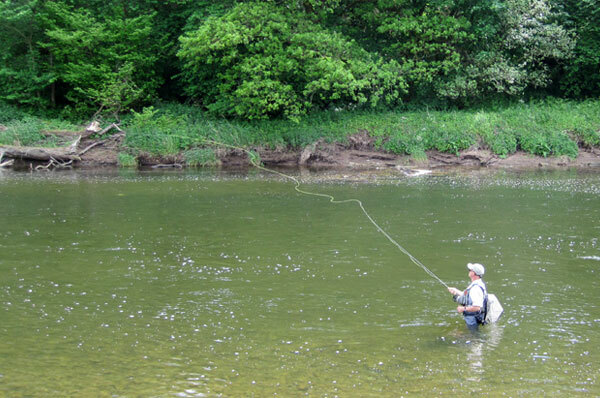 Sandy had also brought along some of his custom fly rods and these were very sweet to cast. Will may possibly have kept one, but I'm guessing Sandy realised what he was up to! 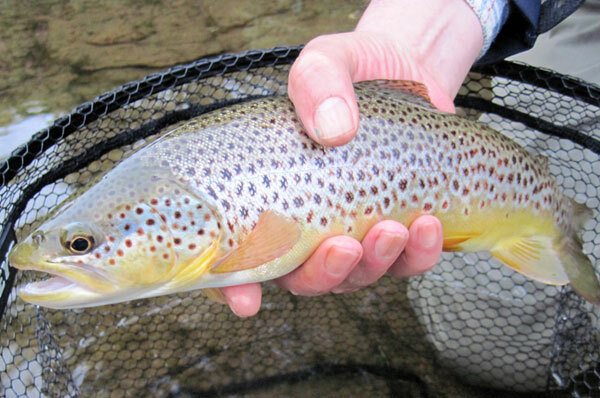 Barrio Mallard, SLX, GT90 and GT125 fly lines were all put to good use on the river and so was our Troutcast tippet. 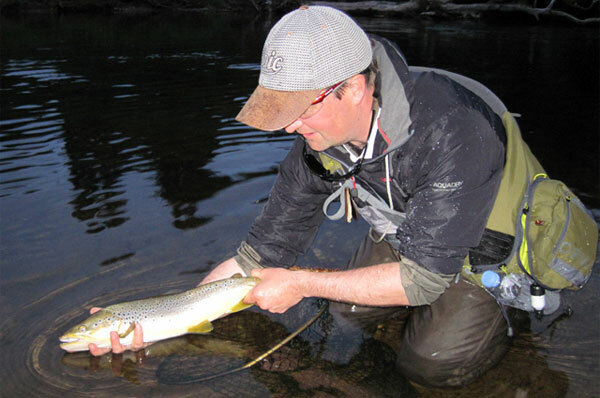 I don't think anybody had a Salmon or Sea Trout this time, but we did catch some cracking Brownies and Grayling! 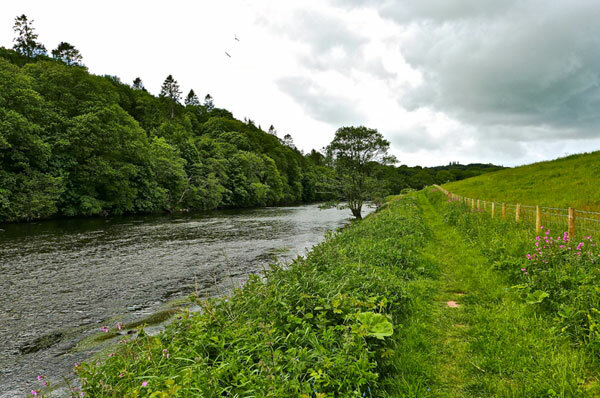 Dry fly tactics seemed to be the most productive for us on the Annan and the DHE, Yellow Mays and Sedge were certainly on the menu. Some very enjoyable days in good company on a nice stretch of water!